It’s time for Red, White and Blue! 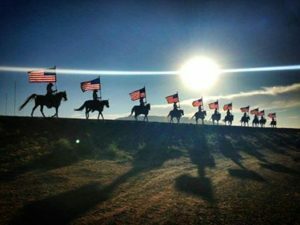 Parades, rodeos, trail rides, shows – there will be a lot of horse trailers on the road over the Independence Day holiday. 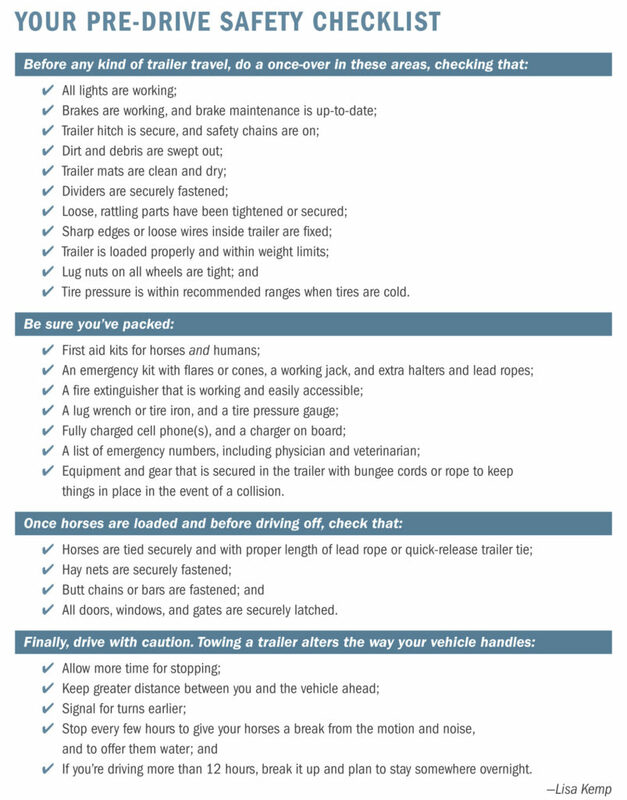 Before heading off down the road with your horses in tow, check over this Trailer Safety Checklist, and don’t forget to head into Rainbow Ag to stock up on all the necessities you need for a fun, safe trip. Buckets, manure forks, hay nets, leg wrap supplies and first aid supplies … not to mention feed! Take a look at the Rainbow clothing department –there’s something for everyone whether you are preparing to show, or just cooling off in a tee and shorts! Styles from Wrangler, Carhartt, Cowgirl Tough, Ariat, Justin, Stetson and more are in the store! How do you manage your horse’s feeding program? Every horse is different and so are their feeding requirements. Feeding horses sometimes appears to be a complicated matter. However, following a few horse feeding guidelines will go a long way to ensuring your horse’s nutritional requirements are met and keep his digestive tract in good health. Your horse’s feeding and nutrition program should be designed to fit his lifestyle and body weight. 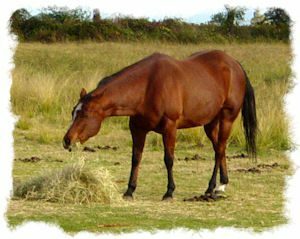 The current weight and life stage will determine the amount of hay to feed a horse per day, feeding recommendations for required nutrient levels, and the adequate amount of grain for horses. Proper rationing and quality feed are the most important factors in meeting your horse’s nutrition requirements. Check out 10 horse feeding and nutrition management guidelines with Dr. Katie Young, PhD Equine Nutritionist at Purina Animal Nutrition. Fireworks start an average of 18,500 fires per year in the US, including 1,300 structure fires, 300 vehicle fires, and 16,900 outside and other fires. These fires caused an average of three deaths, 40 civilian injuries, and an average of $43 million in direct property damage. Fireworks are illegal in certain areas of California, and with extremely high fire danger right now, Cal Fire is warning about the potential of fires starting from illegal or improperly used fireworks. 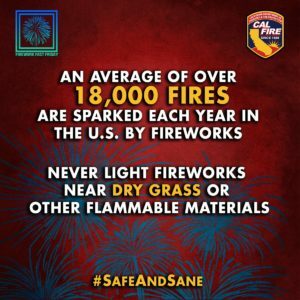 Check out the Cal Fire Fireworks Safety page to learn if your community allows “Safe and Sane” fireworks, and read the tips to keep yourself, your family and home and the entire community safe during the holiday. Please be wildfire safe! Why do we celebrate Independence Day on the 4th of July? Of course, it’s the day that the Continental Congress adopted the Declaration of Independence and one reason that it happened on July 4th was … horse flies! We all know how annoying biting horse flies are, but did you know that thanks to an open window and a nearby livery stable, the Continental Congress signed the historic document on July 4th rather than days later? Check out this fun history tidbit! Trivia! The June winner is Maryanne Silva with the correct answer that the Black Bart Days is giving out cash prizes for the best Black Bart! Trivia is on vacation and will return in the August On the Right Lead! This entry was posted on Saturday, June 30th, 2018 at 3:03 pm	and is filed under News, On The Right Lead Newsletter. You can follow any responses to this entry through the RSS 2.0 feed. Both comments and pings are currently closed.